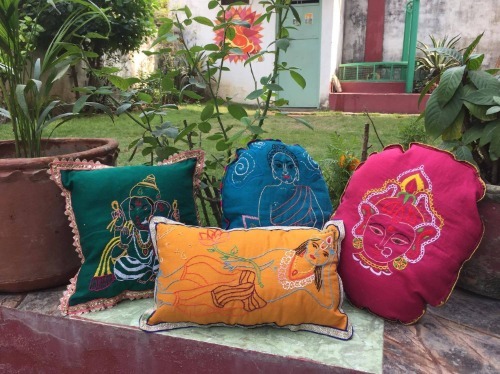 and we LOVE creating these pillows from hand drawn designs! 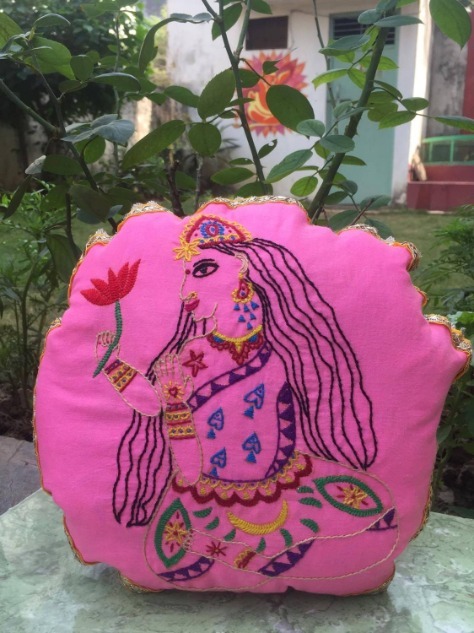 Each pillow is about 9 inches in width, although size slightly varies, and they are perfect for cuddling. 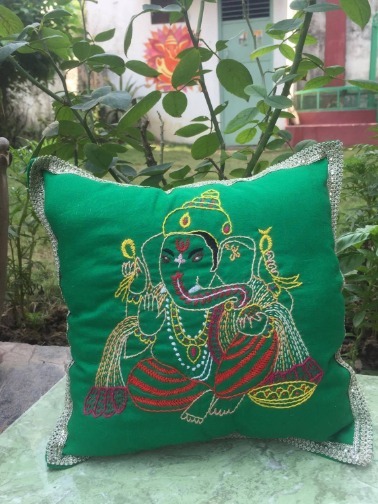 Hand embroidered on various textiles from the Varanasi market, they make an unforgettable gift or keepsake.